The advent of 3D printers in the tech world is an innovation that has taken manufacturing to a whole new paradigm on small and medium scales. It has often also become a household machine for making cool stuff especially with desktop 3D printers coming along. And while there are many printers out there in the market to choose from, it is always imperative to go with one that will allow you to reap full value for your money. And for desktop 3D printers, that means going for a printer that is highly affordable, easy and intuitive to use and is durable enough to serve its purpose in the long term. On that note, you will be hard-pressed to find a desktop 3D printer that beats the qualities of the Anet A8 Desktop 3D Printer, with its perfect blend of affordable pricing and good quality, not to mention that you can get a better deal for it now for just $129.99 by applying the coupon code A8KIDA during checkout. 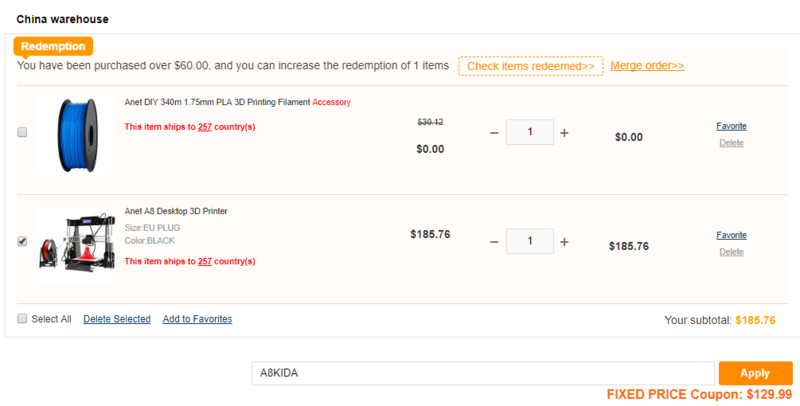 What’s more, you get a filament for free when you purchase the device with that coupon! The Anet A8 Desktop 3D Printer runs on all of Windows XP, Windows 7, Windows 8, MAC OS and Linux, all of which are high quality operating systems designed to improve operation speed and optimize hardware communication to bring you the cleanest prints you will likely find amongst any desktop 3D printer. For many people, the real challenge behind owning a great 3D printer is the expertise to actually use it. With the Anet A8, you have no such pains. It comes with a DIY kit that puts you through your paces in the act of 3D printing and assembly of the machine. You can easily express your creative passion right from day one. 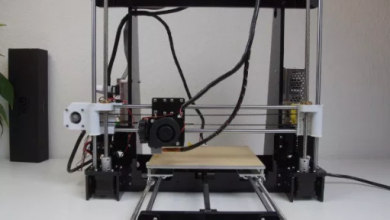 The Anet A8 3D printing runs on a 100mm/s speed of printing which for a desktop 3D printer is an incredible value for your money when doing quick work or large volume work with time constraints. The Anet A8 desktop 3D printer comes equipped with an LCD display for easy and clear instruction handling. You will have a clear view of what is going on and the state of the printer at all times, giving you a visual insight into operations. I have managed to track down an incredible price discount deal of up to 65% going on to the Anet A8 3D printer on GearBest, and the chance to get a filament for free. You will be able to get all the incredible features of this desktop 3D printer and at a pricing that is almost impossible to compete with. Do not take my word for it; check it out below using the coupon code A8KIDA. Xiaomi Yi Smart Dashcam Records All The Road Action. Get It For Just $44.99 From TomTop!